A few days ago Meitu, or rather its hardware division, was bought by Xiaomi. The company is historically very attentive to selfies and their vocation will be respected in the next smartphone, identified with the initials MP1801. This is the device that appeared for a few hours on TENAA: the Chinese body has thus certified the smartphone in question, also show some images of the prototypes and noting some details on the data sheet. And, especially in the first case, there really is not to be enthusiastic. The real peculiarity, on the hardware level, of the next Meitu device will be the three front cameras: authentic, and not just 2 MP depth sensors as happened on Honor Magic 2 (to accompany the main cam). The cameras will have resolutions of 12 + 20 + 8 MP and there will also be a wide-angle lens in the compartment. On the back there is space for a more “canonical” dual cam from 12 + 8 MP. 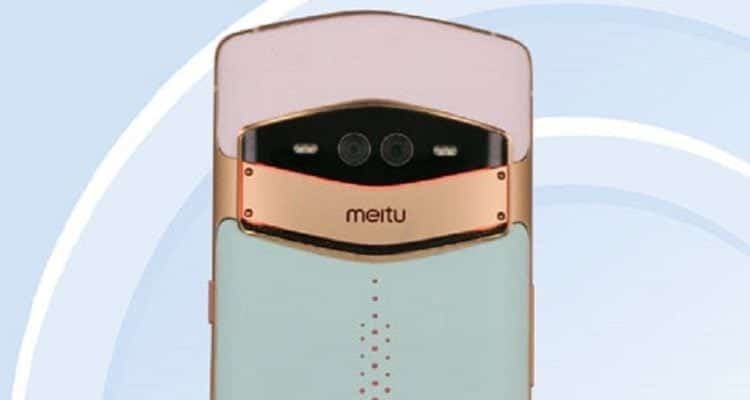 Talking about the 6.21-inch OLED display in Full HD +, from the SoC with CPU hexa-core, 8 GB of RAM with 128 or 256 GB of internal storage, the new Meitu at first glance is really… ugly. The V-shape, Vertu style, is already debatable; the back is hard to comment but the real fist in the eye comes from the mega-notch that hushes everyone, including the Google Pixel 3 (really hard to beat). Enjoy it all in the photo gallery at the top.